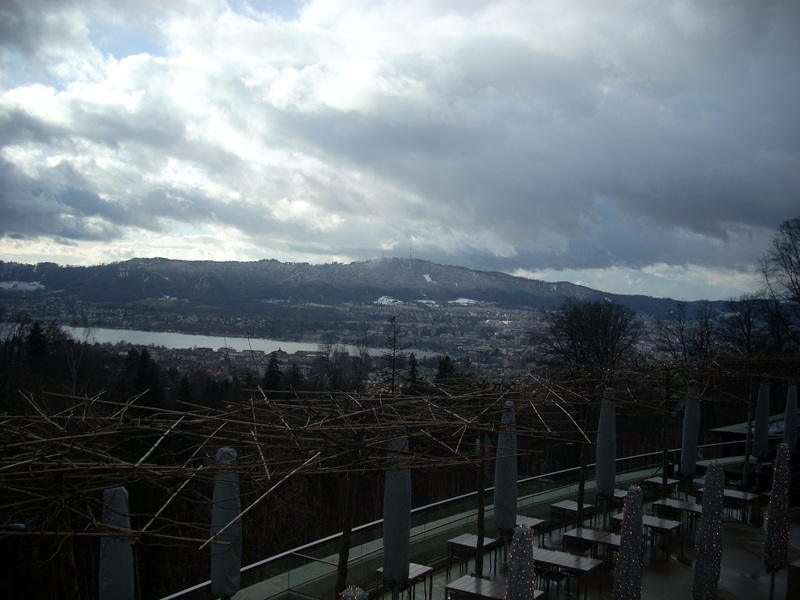 Had a lot of fun on our first full day in Zurich with a good night’s sleep in us. It rained most of the night but cleared up and we had a beautiful sunshine filled day to work with. We started off at a place called Markethalle, a food stall gallery underneath/inside a viaduct, so Cheryl could get a coffee and quick bite. 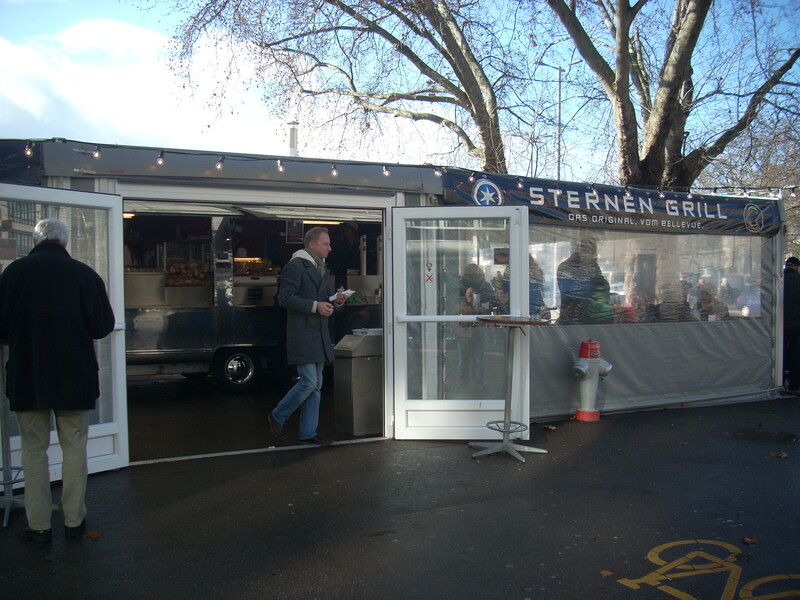 We then made our way down to Bellvue where the Sternen Grill is. 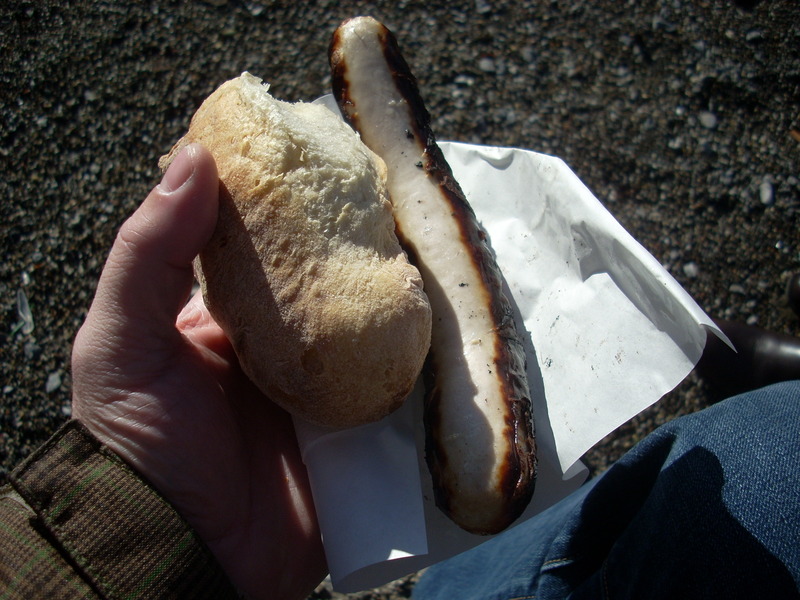 It’s an Airstream trailer that’s been converted to serve up some pretty delicious bratwurst. Chicago foodtrucks wish they rocked like this. After that we took a cog-wheel tram ride up one of the surrounding hills to get a better view. There was this hotel/spa at the top which looked like it could have been in a Bond film. I kept looking around for Blofeld but he never showed his face. Nice view though. This photo does not do it justice. 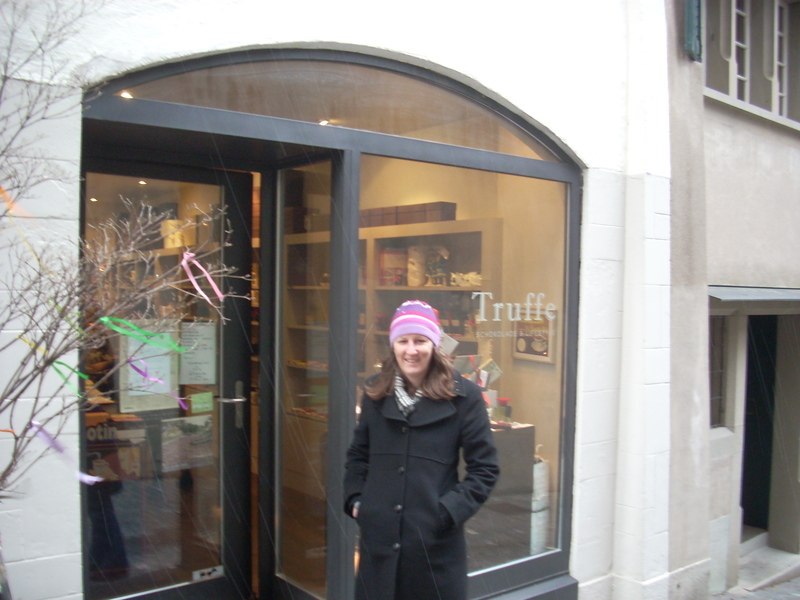 From there we descended back down into the old city and wound our way through some side streets to this chocolate place. It started to snow when we left the chocolate shop so we stopped by a bar and had a couple drinks. 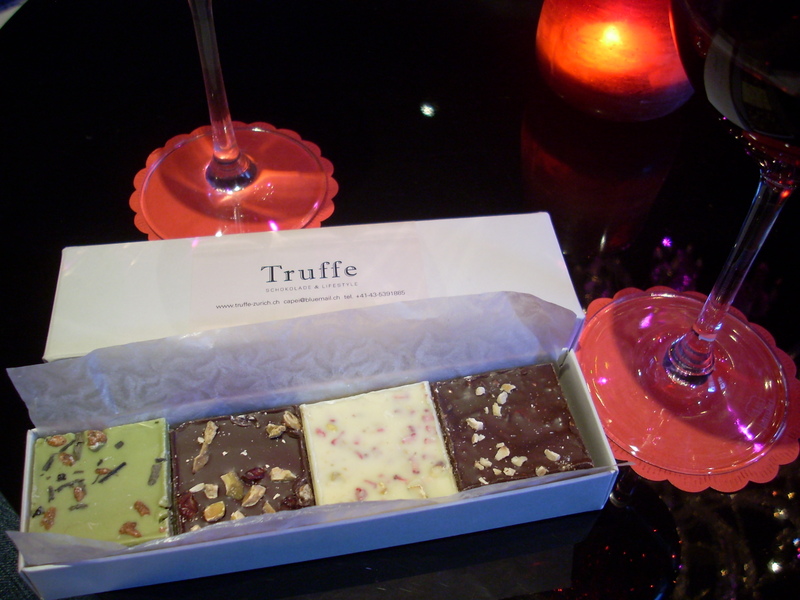 And ate some chocolate. 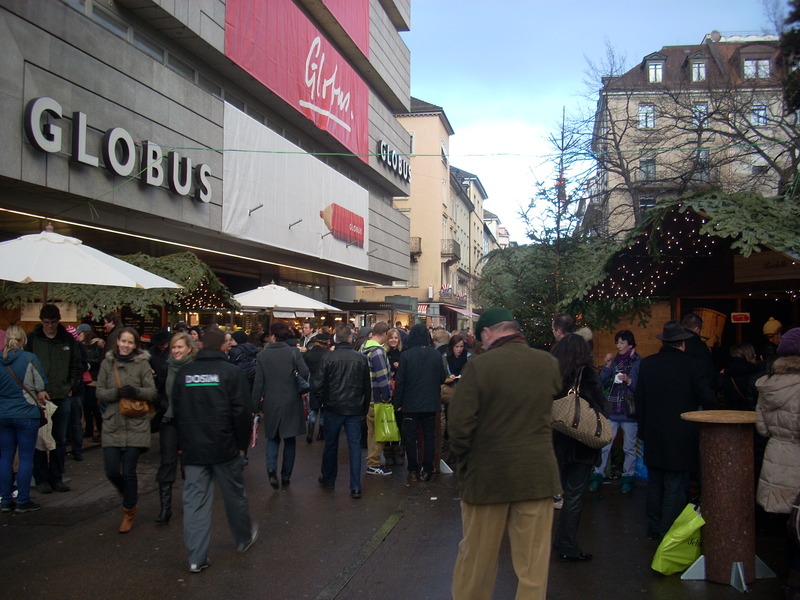 From there we headed to catch one of the trams (which run very frequently, unlike San Francisco) and stumbled into a Christmas market, which had to be on its last week. 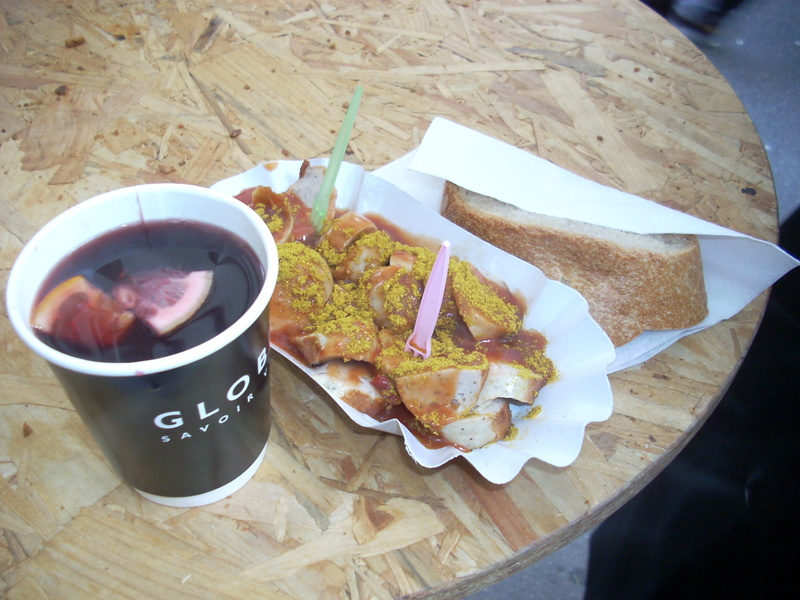 We were still a little hungry (ok, it was really just me) so we grabbed some currywurst and gluwein. We then rounded out the day with a return trip to the viaduct market to pick up some evening snacks and wine to have before heading back out to watch the Newcastle match at a pub. The result of that (loss to the scousers) was the only thing that marred an otherwise fun day. Looks like we could be in for some nasty, rainy weather tomorrow so I think we’re planning on an out-of-city excursion. Still have to hunt down the elusive fondue but I’m not worried. 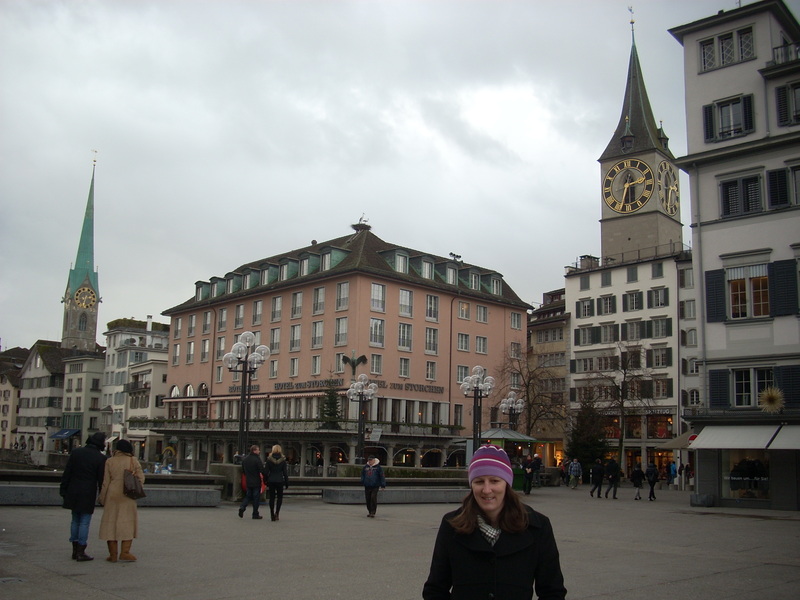 Previous Post Christmas Stuff and New Year’s Travels – Where’s that Passport? Thanks so much for all the recommendations!